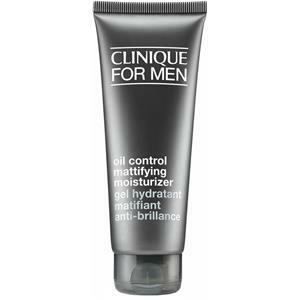 The Oil Control Moisturiser belongs to the Clinique for Men range and is best-suited to combination and oily skin. 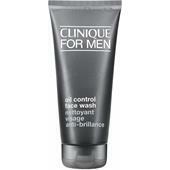 The cosmetic lends these skin types a groomed, matt look. 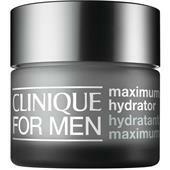 At the same time, the light formula provides adequate moisture for a healthy-looking complexion. The renowned brand consciously offers fragrance-free male cosmetics, whose tolerability has been carefully scrutinised through allergy tests. Fragrances in particular are often responsible for irritation. 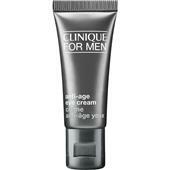 This men’s care product is part of Clinique’s tried-and-tested 3-Step principle. 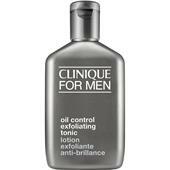 The Oil Control Moisturiser comes into play in Step 3. It supplies nourishing ingredients and supports the skin in building up a natural protective barrier against environmental influences. In combination with the exfoliator, which gently removes dead skin cells, and the intensive cleanser, these men’s care products lend oily skin a delicate and clear structure.